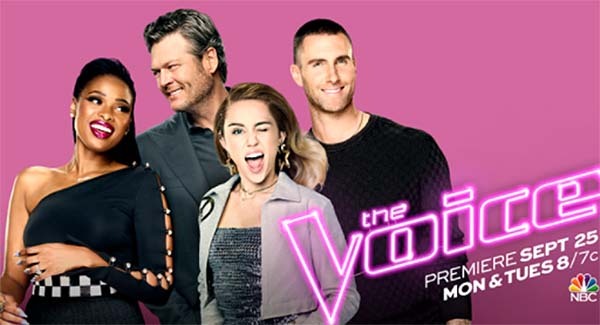 The Voice Season 13 Playoffs continue tonight with Team Adam on Tuesday, November 14, 2017 on NBC 8/7c. It’s Team Adam’s turn tonight on the The Voice Season 13 Playoffs round. In the Playoffs, the top twenty-four artists will perform for the coaches, each coach will choose three artists from their teams for elimination. The remaining top twelve artists will advance to the live shows. Performing tonight from Team Adam are Addison Agen with “Angel from Montgomery” by John Prine, Anthony Alexander with “Perfect” by Ed Sheeran, Adam Cunningham with “Have a Little Faith in Me” by John Hiatt. Whitney Fenimore with “If It Makes You Happy” by Sheryl Crow, Emily Luther with “Lovesong” by The Cure and Jon Mero with “When We Were Young” by Adele. Keep locked on this page, The Voice Season 13 Playoffs recap, results, and performance videos will be posted below once available online.